She has lived through two world wars and the Easter Rising. And despite turning 103 yesterday, Bridget Tierney still shows no signs of slowing down. 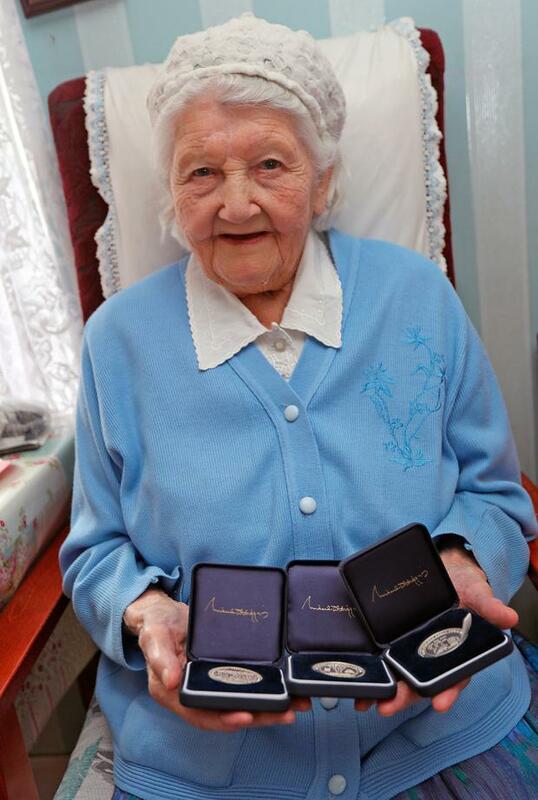 The centenarian from Loughduff, Co Cavan, celebrated the milestone at the home she shares with her son Vincent. Five generations of her offspring - including great-great grandchildren, grandchildren, six daughters and three sons - joined in a rousing rendition of 'Happy Birthday' before showering her with cards and gifts. After sharing birthday cake with her family and a steady stream of friends and well-wishers from the area, she proudly showed off the three silver coins she has received from the State to mark each year since turning 100. Bridget - who still bakes a loaf of brown bread each morning - attributes her longevity to simply being happy, abstaining from alcohol her entire life and eating only wholesome food which she cooks from scratch. "I've never eaten anything out of a tin," she said. She also likes to stay local and has never left these shores.